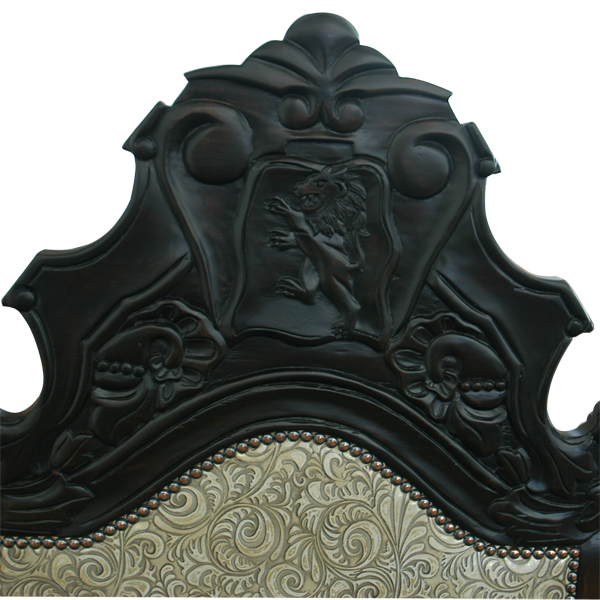 The crest on the top of the seat back of this handcrafted chair is intricately hand carved and features a rearing horse and lovely floral designs. If you would like to modify the design of the hand carvings to include your family crest or another design, we can work directly with you in creating your personal design. 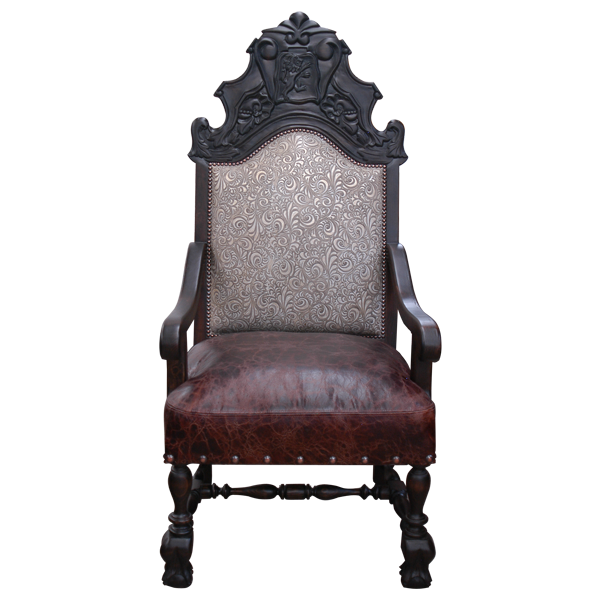 The chair is supported by exquisite, hand turned, front legs that end in hand carved feet. The back legs are straight and simple, and are slightly splayed. The legs are joined by an “H” wood turned stretcher. 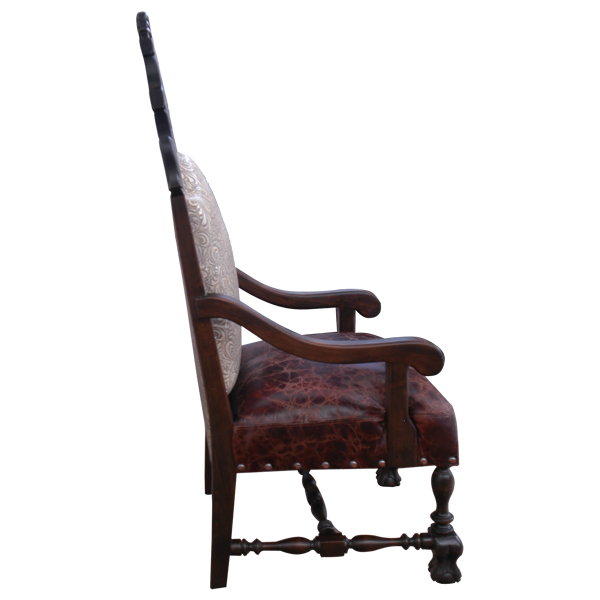 The armrest are beautifully curved and are finished in a soft brown stain. 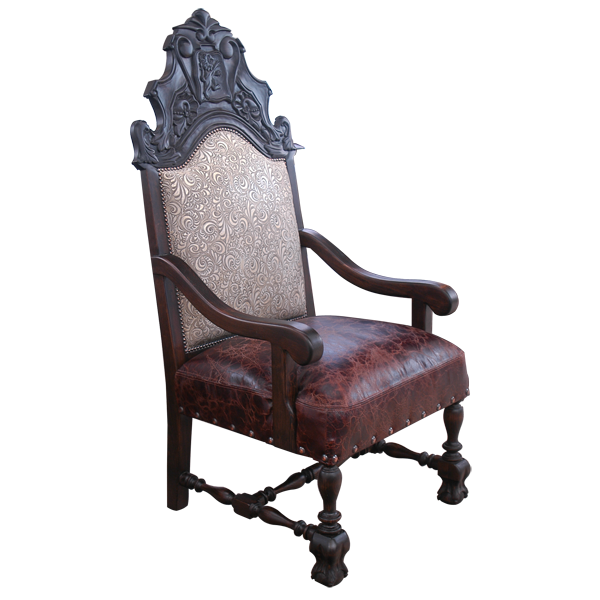 The seat is generously padded and is upholstered in brown, embossed full grain leather. Both sides of the seat back are upholstered in embossed full grain leather. The upholstery is precision hand tacked to the seat with large decorative nails, and the seat back is hand tacked with small decorative nails. The chair is made with the best, sustainable, solid wood available, and it is 100% customizable.